Largest Online Personalised Printing and Gifting Store in India- 100yellow.com: Why Business Cards Are Still Not Replaceable? Why Business Cards Are Still Not Replaceable? This is a digital world and everything we do in our lives as well as business today is the digital way. Emails, meetings, webinars, signing contracts and even networking are done electronically these days. But the fact is that business card is one such important aspect of marketing in business, which is never going to get replaced. Networking means to make genuine connections, which is not practically possible digitally. Business cards help you have an eye contact and begin a real conversation. 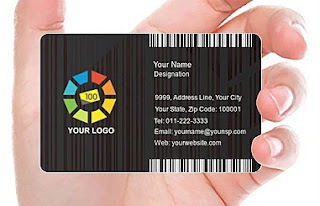 Business cards help you make valuable business connection with the prospecting client you meet. Keep some business cards ready with you so that if you meet a prospect next time, you are prepared. You always want your client to walk away after the meeting with a great impression. Well, a high quality and attractive business card can do a lot more than an email or a phone number would do. It is definitely going to help you make a memorable first impression you can use transparent business cards for extra impact. Usually creative and beautifully designed business cards get shared and they continue to market for you. When you present a business card especially when you are meeting an individual in an unscheduled place, it shows that you are always prepared and professional. It leaves a great impression on the person you met.